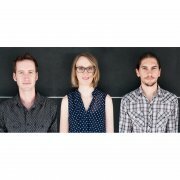 This musical trio led by young Australian female pianist Nat Bartsch - who won the Melbourne Prize for Music Development Award in 2010 - will come to Japan to showcase their unique brand of melodic, soulful music. 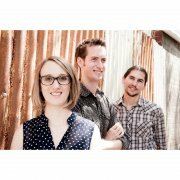 The trio was initially formed in 2006 when the members were studying improvisation at the Victorian College of the Arts in Melbourne. Bartsch is now joined by double bassist Tom Lee and drummer Daniel Farrugia. The trio’s repertoire is inspired not only by great Australian jazz players but also indie rock and pop music of the likes of Elbow and Sigur Ros, and the improvised music of Europe. These influences enable the trio to communicate their heart-warming music to a broad range of listeners, extending far beyond the general jazz scene. 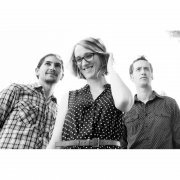 The trio’s debut EP Nat Bartsch Trio in 2008 was followed by their highly acclaimed release Spring for all the Winters in 2010. As a follow-up to her acclaimed 2009 tour of Japan, Nat Bartsch will visit Japan again, this time as part of a trio. The group also toured Europe in 2010. Their new album is scheduled to be released in March. To purchase tickets, please send an email to ticket@spn1.speednet.ne.jp or call 03-3728-5690.